Immerge yourself in your winter holiday in a world of lived values, the traditions and romance. There are many beautiful Christmas markets in South Tyrol, whose visit will enchant you at Christmas time – and two of the best are within easy reach of our hotel. 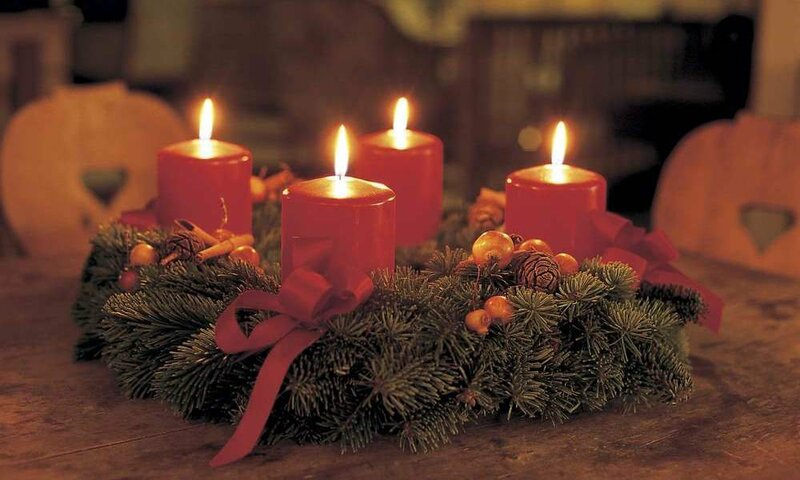 With the Christmas market in Klausen and the Christmas market in Brixen you have two more wonderful occasions to spend your holidays with us in winter and face with us in the Eisack valley the festival of love. In the old streets of Klausen it is not just atmospheric Christmas, but like in the Middle Ages. Our Christmas market is lit by torchlight and candlelight, where jugglers and fire-eaters perform in front of an astonished audience. With medieval sounds in background you can stroll along the stands and purchase craftsmanship from the Eisack valley – a beautiful gift idea, these elaborate wood carvings, glass beads and felt creations. For your children there are of course sweets in abundance. 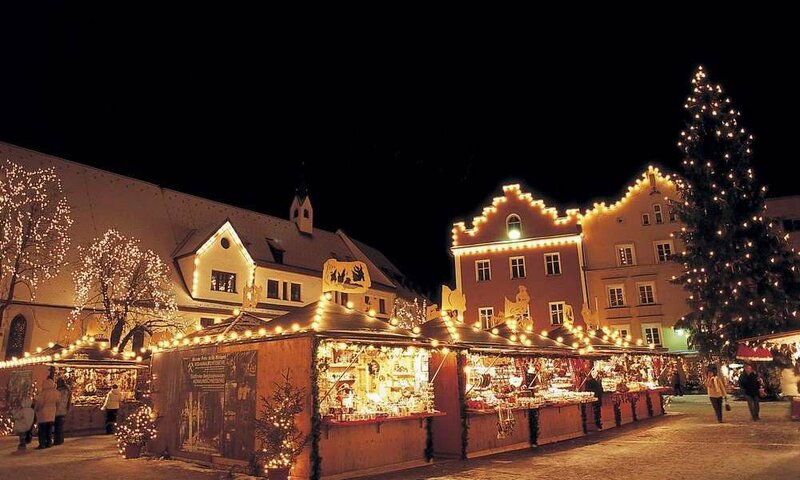 So the Christmas market in Klausen is a feast for the whole family and at the same time you make a trip back in time. A visit to this beautiful Christmas market in the old cathedral can be perfectly combined with a skiing trip on the Plose. 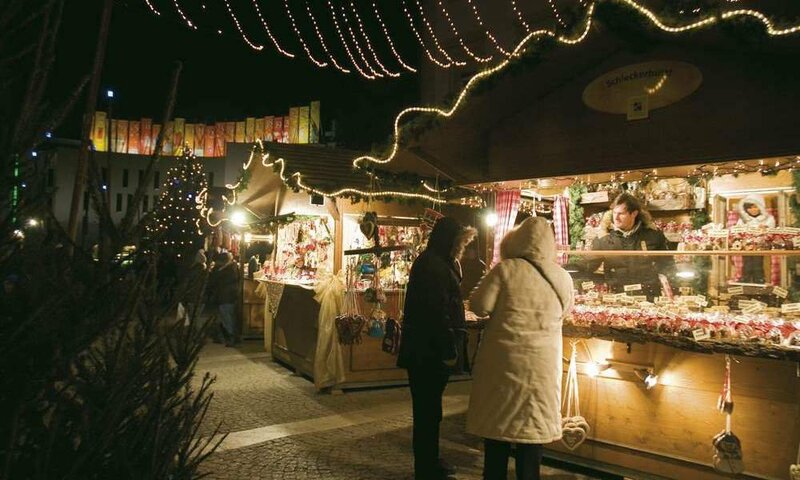 The Christmas market in Brixen is located on the ancient cathedral square where the walls submerged in bright light create a particularly homely atmosphere. Almond scent, festive music and illumination combine to create a magical atmosphere, whose charm you cannot resist. After a glass of mulled wine, you should visit the interesting exhibition of nativity scenes in the Bishop’s Palace (Hofburg) or one of the celebratory concerts.